You may not think the music playing in the background matters, but research shows, it does. No matter your industry, playing music for your guests or customers directly affects their mood and behavior. The perfect playlist can set the tone for relaxing or for a spending spree. In fact, 63% of consumers have admitted to being influenced by a store's atmosphere. In-Store Music plus well-timed, informative messaging interspersed between songs will keep customers in-store longer and increase purchase intent. Want to learn more? 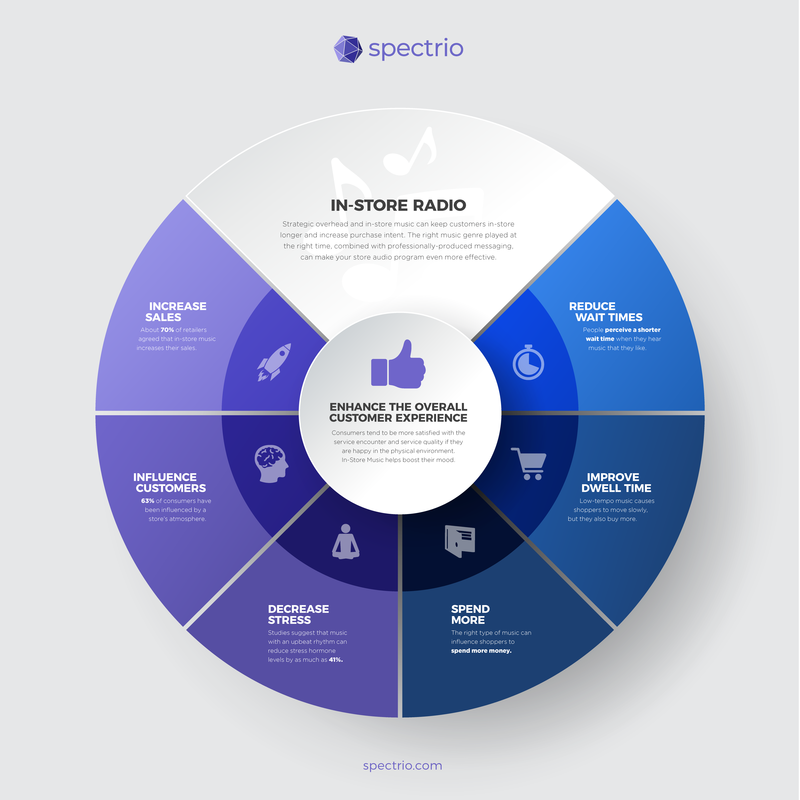 Check out our In-Store Music Infographic below! Click on the image to enlarge, or click the icons below to share on social!